Kava For Anxiety And Sleep: What Is Kawa Used For? Kava, Piper methysticum or kava kava is a plant native to the South Pacific islands, which has been used for centuries as a ceremonial drink to achieve a state of relaxation. Recently, many people have started using kava for anxiety and other health conditions, but also its stress-reducing and relaxing properties. The Western interest in kava kava uses started in 1778 when Captain Cook voyaged to the Pacific islands. Since then its use has widespread and now anyone can buy kava online. Piper methysticum is available as root extract, tea, capsules, powder, and tincture. Can Kava Help With Anxiety Relief? Is Kava Used For Depression? What Is Kava Usage For Stress? Will Kawa Help With Insomnia? Does Piper Methysticum Help With Pain? What Are The Kava Uses For Urinary Tract Infections? Can Kava Relieve Menopause Symptoms? 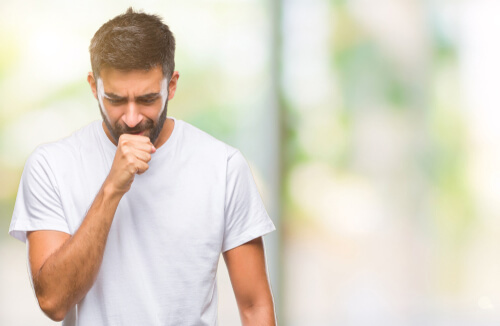 What Are The Kawa Benefits For Asthma? Does Kava Improve Brain Function? Will Kava Relieve Drug Withdrawal? How Is Kava Used As A Ceremonial Drink? Kavalactones, the active ingredients in kava, have anxiolytic, calming and euphoric effects. Kavalactones affect neurotransmitters in the brain, such as gamma-aminobutyric acid (GABA), decreasing the activity of the nerves. GABA-A receptors are activated by kavalactones, producing a calming effect. Piper methysticum also prevents a drop in dopamine, serotonin and norepinephrine levels as it inhibits monoamine oxidase. Kawa also reduces the activity of beta adrenaline receptor, relaxing the muscles. What does kava kava do? The first study on kawa’s effects of people with anxiety was made public in 1997, and it showed that the plant significantly decreased the anxiety symptoms. The majority of research done in this area has shown that Piper methysticum extract with 70% kavalactones (WS 1490) does not only lower anxiety but can also substitute several prescription anti-anxiety medications. The Piper methysticum root also has benefits in depression. The kavalactones regulate the neurotransmitter levels and relieve depressive symptoms, just like benzodiazepines so but without the risk to develop an addiction. The Kava Anxiety And Depression Spectrum Study analyzed 60 individuals who enrolled in the study with generalized depression. The results showed that with 250mg of kawa per day over three weeks, the depressive symptoms were significantly reduced with no adverse effects. Piper methysticum increases GABA, serotonin, and dopamine and decreases glutamate. Kawa is an adaptogen plant, which means it is a powerful stress-fighter and promoter of overall well-being. Many studies have shown that kava stress relief could be successfully used to make someone calmer and more relaxed. One of these studies was made on 101 patients with stress-induced anxiety, and it showed a significant drop in stress levels after eight weeks of kawa treatment. Sleep disturbance is one of the leading symptoms of depression and anxiety. Piper methysticum can also be successfully used as an alternative to replace sleeping pills. One study, which used kava kava for sleep, showed the plant-reduced insomnia and stress and had calming effects on the patients. The plant’s sedative effects are created by the inhibition of monoamine oxidase B, the blocking of calcium ion and sodium channels and the increase of dopamine and noradrenaline. The study results showed a shortened time to fall asleep, an increased length of deep sleep and the decrease in wakeful phases. Kava for sleep might also be efficient thanks to its effects on anxiety. Stress-induced insomnia is a common symptom in people with anxiety. So when kawa addresses anxiety effects, it also implicitly helps with insomnia and sleeping problems. The active compounds kavalactones, found in the root and other parts of the Piper methysticum plant, also have neuroprotective, anti-convulsant, anti-inflammatory and pain-killing properties. Kava showed results in chronic nociceptive pain, which is felt when nerve cells affected by harm in the body and not by direct injury or infection. Kawa is also useful in orofacial pain, the chronic pain localized in front of the ears, above the neck, inside the mouth or below the centerline of the eyes. Kava kava for pain is also recommended in back pain, joint pain, migraine headaches, muscle spasms and neuralgia caused by cystic fibrosis. Kawa took by mouth also relieves the symptoms of tract infections, such as burning sensation when urinating, pain in the lower abdomen and the intense urge to urinate. The plant relaxes the urinary tract thanks to its anti-inflammatory properties, thus reducing the stinging feeling. This antispasmodic plant also helps in bladder contractions, being traditionally used by the Native Hawaiians as urinary treatment difficulties. Menopause and perimenopause symptoms include night sweats, hot flashes, and increased irritability and anxiety. A study made on 40 women showed that Piper methysticum could treat irritability, depression, insomnia, and anxiety related to menopause by increasing dopamine levels, inhibiting monoamine oxidase-B and activating the GABA-A receptors. The plant manages to successfully suppress the mood swings and hormonal switches associated with menopause. Kawa acts as a natural tranquilizer, calming asthma attacks without the foggy side effects of the calming prescription drugs. It eases and soothes the nervous system, improves adrenal health and reduces anxiety. Two or three cups of Piper methysticum tea per day have a strong relaxant, anti-inflammatory, numbing effect on the respiratory tract, helping in relieving asthma symptoms. Another study showed that 300 mg of kava kava extract could improve performance and accuracy in attention, working memory tasks, and visual processing. Kawa pyrones improve parts of the brain, such as the hippocampus, caudate nucleus, and amygdala, which deal with brain processes and emotions. However, higher dosage and chronic usage can lead to motor function impairment. Piper methysticum can reduce cravings for addictive substances in drug-dependent patients. This happens thanks to the plant’s ability to increase the dopamine-producing neurons in the brain’s reward system. Kawa for benzo withdrawal can be used by gradually increasing the dose of WS1490 kava extract while decreasing the benzodiazepines dose. This way the withdrawal symptoms are prevented and the anxiety is reduced in people who have developed benzodiazepines addiction. Piper methysticum is native to the Pacific Ocean islands, where people made a paste by grounding its root and mixing it with water or coconut milk to make a drink. This was used during the religious and cultural ceremonies to induce a state of altered consciousness and open communication channels with spirits. Such ceremonies include wedding, funerals, royal events, and political events. The plant’s bundled roots were presented as a sevusevu (gift), before drinking the yaqona (Piper methysticum) itself. Among the kava uses it should also be mentioned the recreational one. Piper methysticum can also serve as a substitute for alcohol, having similar muscle-relaxant and sedative effects. For the kava kava high, it is enough a cup of kawa tea to experience a rare state of relaxed focus, just like a glass of wine. The mild euphoric feeling is given by another dopamine-boosting kavalactone, called desmethoxyyangonin. First-time users should expect a trial and error period until adjusting the personal tolerance to Piper methysticum, depending on the scope for which it is taken, just like different people have various tolerances to alcohol. 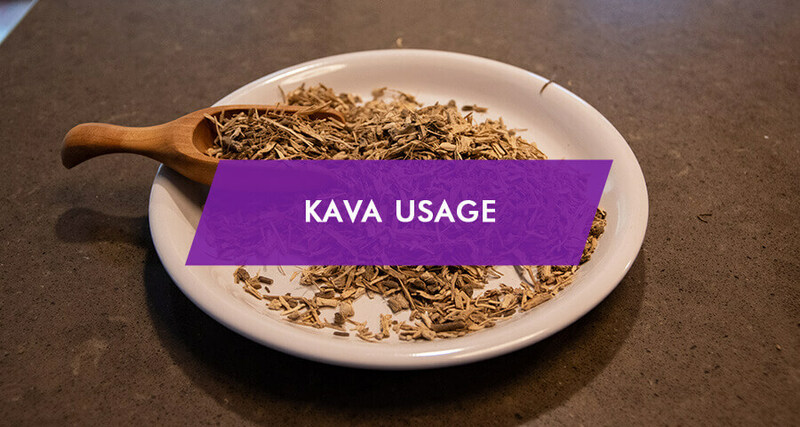 The kava health benefits are numerous, as long as one knows the optimal dosage. Before taking kawa, make sure to consult a doctor as it may interact with other medications. Also, check if the kawa is derived from the root. The stem and leaves are harmful to the liver. Note that the abuse of the herb is likely to cause dependence. Contact the rehabilitation center in case of addiction signs. The treatment options can be found in every US state. Addiction Resource » Addictive Substances: The Anatomy of Drug Addiction » Is Kava Addictive? Piper Methysticum Abuse Danger » Kava For Anxiety And Sleep: What Is Kawa Used For?